We were living in New Jersey at the time and just before we left the states, we wanted to make a trip to Boston. Going to Boston had always been always at the back of our mind and so was going to Alaska, Hawai and a dozen other places. Every trip you conceive in your head will materialize only when its time and certain elusive stars are in order. I don’t believe in astrology but some things in life make me believe in destiny. We were all set to drive down to Boston with a five month old. The drive from NJ to Boston is about 5 hours but we took a little longer. We decided to start in the evening after the baby is fed and will go to sleep also its easier to drive at night in the summer as you can discount the heat. We carried half our house in the trunk of the car mainly because we were on a road trip with the baby for the first time and also because we had a car and the space. So our trunk had the baby’s stroller, feeding chair, clothes, diapers, supplies of food and also a box of groceries which we planned to give to our host as we were packing up our house in NJ and moving to India. We didn’t need to stop the car and take a break as my angel slept for most of the journey. Driving at night has just one hazard and that is the heavy vehicle traffic which is intimidating if you are not used to it. Every city in the US is different and has a unique flavor and feel to it. Boston at first seemed old and a little messy as compared to the other cities in the US. We embarked on a walking tour of Boston the next day and slowly the city started to seep into me. I realized that the city was not messy, it was just lived in. 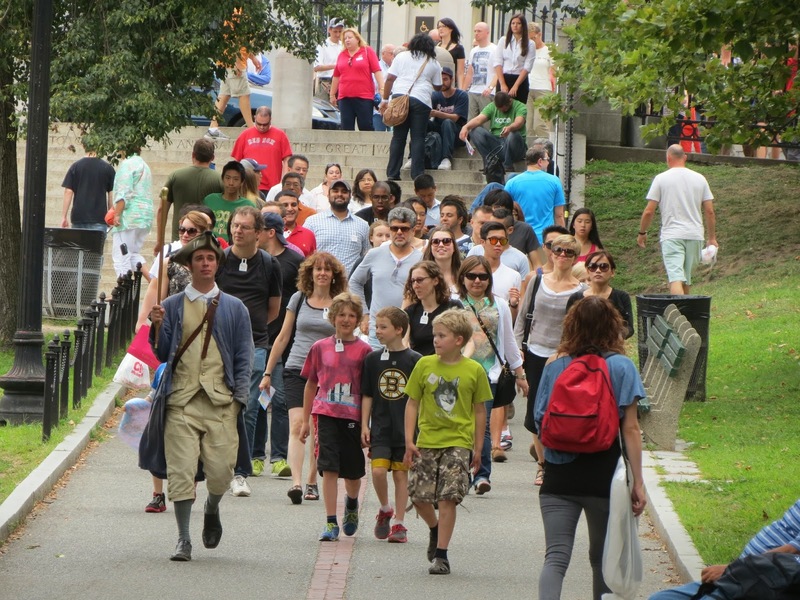 We walked on the red brick lined route which marked the the freedom trail of Boston. 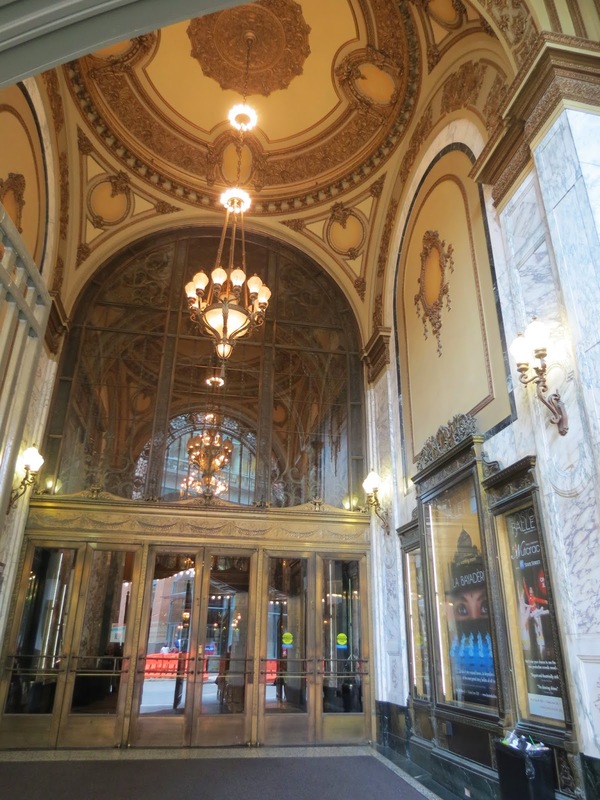 Boston was the heart of the American Revolution and the walk took us past museums and historic buildings like the site of the Boston massacre and the famous Paramount theater. Some parts of old Boston are cobbled streets and are open only for pedestrians, pushing the baby buggy on it was quite a ride. 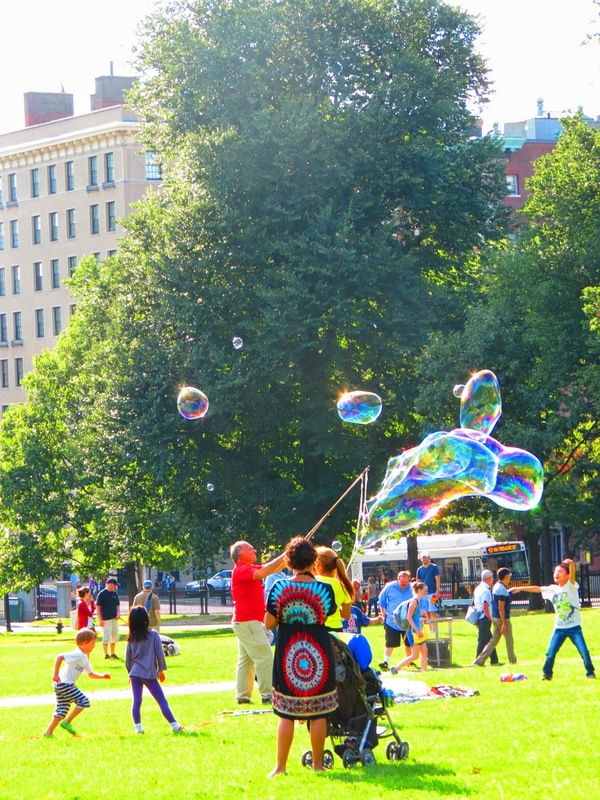 In the center of Boston, Boston Commons was a melting pot of ideas, culture and people. The park in the heart of the city gives respite from the concrete all around. My first impression of the park was that it was noisy and parts dirty but people were having fun. 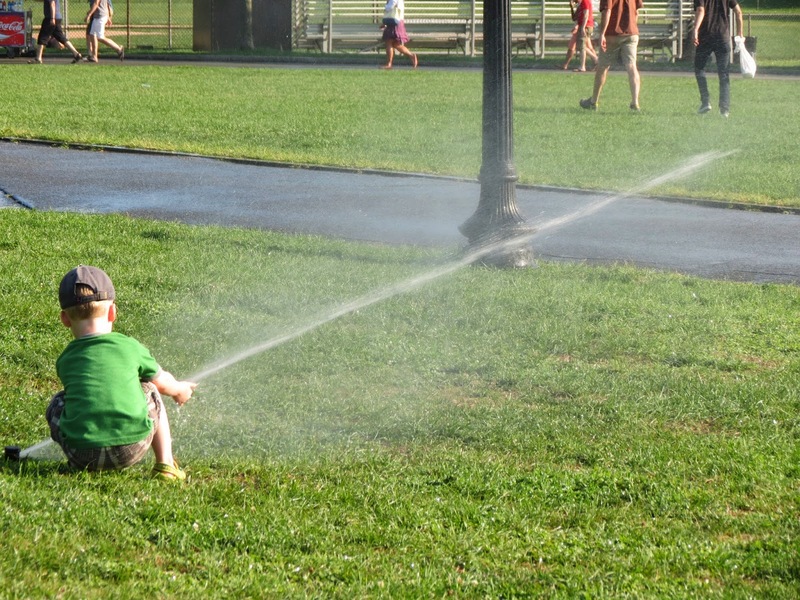 There was a women screaming at the top of her lungs while a police man tried unsuccessfully to evict her, there was a young couple playing the guitar, a bubble man blowing huge bubbles and making the park psychedelic, some kids dancing and playing in the frog pond and with the sprinklers. We sat on a park bench under the shade and breastfed my baby using a nursing cover while giving the stink eye to people who casually looked at us, just in case they had a problem with a baby being breastfed in the park. To be frank I was a little out of my comfort zone so any problems anybody had was mostly in my head. I cannot write enough about my nursing cover which was a DIY project that a friend helped me with. The nursing cover looks deceptive enough. People without kids would never guess the reason why I look covered in a polka dot green cloth with a tiny pair of feet sticking out from one end. As my nursing cover is no longer in service, I remember it fondly and how much it has helped me in my travels. My baby was happy as long as he was outside and on the road but decided to protest at the restaurant when it was the parents turn for lunch. 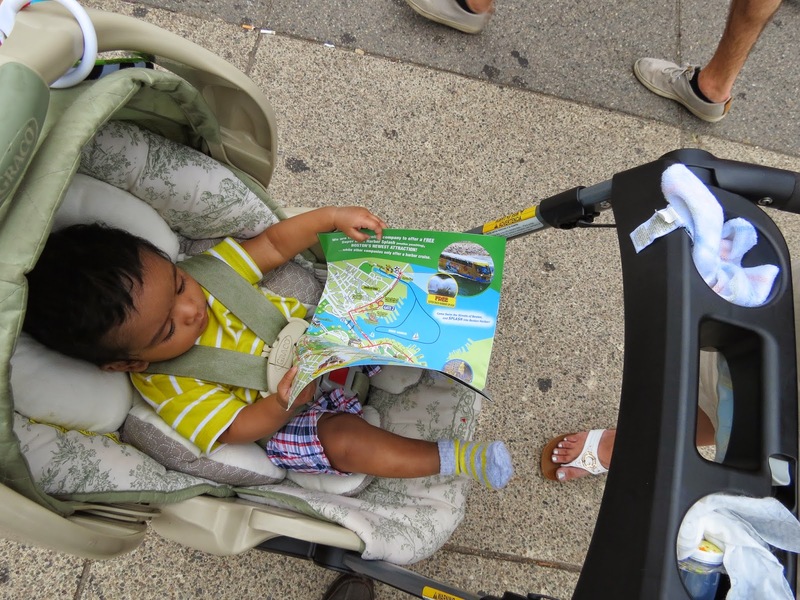 So we took turns in eating and holding him outside the restaurant as my baby couldn’t seem to get enough of Boston. We then decided that we should take a bus tour as clearly we couldn’t cover enough of Boston by walking. We got onto a tour bus with a wailing baby and for a moment it seemed daunting as the bus driver made a fun remark about a wailing baby on the bus. But soon baby was making faces at the woman behind us, smiling at her kid and back to being a cherub. 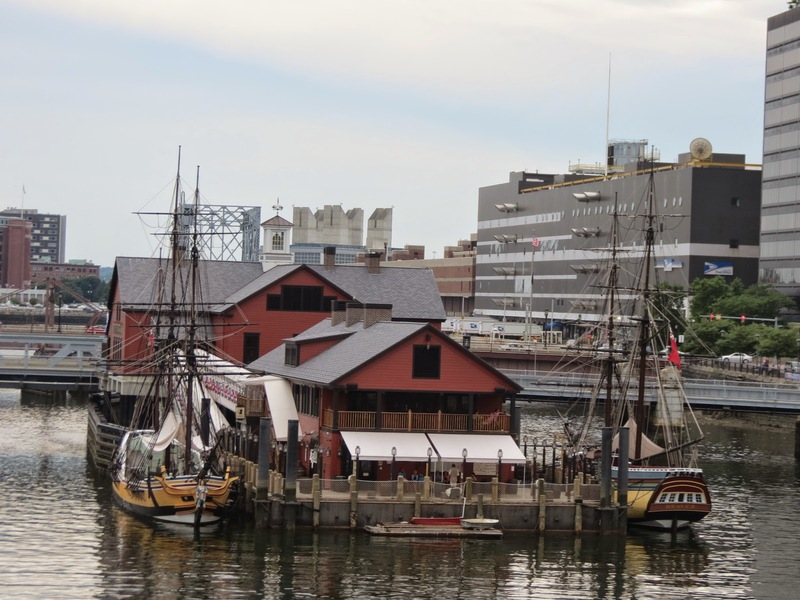 The bus took us past the site of the Boston tea party (one of the few facts most Indians know about American history), Harvard and some other touristy places in Boston. The only tea I had in Boston was at a Turkish restaurant Istanbul-lu along with some amazing baklava and good company. I guess America did really throw out all the tea into the sea at the Boston tea party and became in the land where black coffee is served in plus size cups at every corner. The drive back to NJ was during the day and thanks to a deserted Chinese restaurant we were able to feed a cranky baby and were able to get a bite for ourselves without having to feel embarrassed about disturbing other diners. This trip was the last trip we made before leaving the US and it leaves me with fond memories of a beautiful place and some wonderful friends. Next Dashing through the snow!